1170 AD – his name is Valor. Sir Valor “Val” de Nerra is one of Henry II’s most trusted knights. As the Itinerant Justice of East Hampshire, Val’s word is law. A fair and just man, and a very handsome one, he enjoys a good deal of attention and respect. His life is a prestigious and wealthy one until he faces a decision one day that will change the course of his life. Val must order the execution of his love’s brother. Val has adored Lady Vesper since the moment they met. As he strives to win her back, the king orders Val to participate in an event that will shock the country for years to come – the assassination of Archbishop Thomas Becket. Will he obey? Or will he refuse? From a man who had enjoyed the wealth, love, and admiration of all to a man who falls swiftly from grace, be part of Val and Vesper’s journey as Val struggles to regain what he lost and comes to understand what is truly important in life in this novel of astonishing emotion, passion, in. My Thoughts: This read is powerful! I read it five months ago and have just finished listening to the narration, narrated by Brian J. Gill. Gill depicts the emotional and character conflict superbly. A great story with a good narrator gives me great satisfaction in revisiting the story. If you have purchased the book, then consider the audiobook. Audible.com gives a special price discount for these customers. Recently, I read about another author who has taken the four knights who assassinated Thomas Beckett, Archbishop of Canterbury, and given them each a story. I wish I could remember the author, because I’d love to follow-up with the historical event. If any of you readers know, please let me know! Simply, when an author is able to turn back time, reliving a historical event, humanizing it, breathing life anew into it, I think the author has done more than a service of entertaining. For these reasons, Le Veque gets my vote of confidence and my turn-to author for Medieval Historical Romance reads. Valor, its meaning, not the name of the main character, plays a large part in this story whose powerful setting and writing style took me from the heights of happiness to the depths of despair. Author Kathryn Le Veque picks the perfect period in history where so many intrigues take place, where valor and honor are challenged and where love flourishes even amongst its vestiges. Valor has a job to do–Itinerant Justice of East Hampshire. He has faithfully executed all the king’s commands with fortitude and aplomb. He has gained favor with King Henry and those who support the king. A command once again comes to Valor with a missive delivered by one of the knights of the king’s inner circle. This particular missive challenges Valor, for he’s damned if he follows his king’s demand and damned if he does not. He is commanded to arrest Thomas Beckett, the Archbishop of Canterbury at that time. If you would like to read an account of Thomas Beckett’s death, follow this link. Vesper seems demure enough. She appears quite the lady, well-educated for the times, has a beautiful voice Valor falls in love with. The hidden spirit of Vesper comes to play when she realizes she loves Valor and will move heaven and earth to keep him safe. Yes, my kind of heroine! Valor’s mother, Margaretha, is an interesting character. She’s a woman of much perception, rather sharp-tongued, with a deep love for her son. She gets me eye-rolling! Her greatest desire is to have grandchildren, since Valor is the only one to produce the heirs for the House of De Nerra. There are several scenes where she is a total harpy, badgering her son to marry, to have children. I could see myself in her position with our son! Valor doesn’t have a well of patience either, but I do marvel at what patience he has! She is also one who accesses the worth of people quickly – sometimes spot-on, sometimes misses the mark by a wide margin. I feel she’d be a great character to continue learning about. A story of her own, perhaps. Another character I’m certain we shall see again in the de Nerra series is an old friend and knight, Sir McCloud d’Avignon, father to the lovely heroine, Vesper. He is a man who has changed with time, not the knight Valor once knew. I enjoyed the way author Le Veque layers this story – for McCloud has a story of his own. He is the one who changes the most, but can he be forgiven for his past? It’s marvelous how the author takes a momentous historical event weaving into it a story of love, pain, untruths and honor. All her books tug on my emotions. There are scenes where I cry and laugh at the same time. Wonderfully heartwarming and at the same time, heart-wrenching. Don’t miss reading and listening to the first of a new series by Kathryn Le Veque. 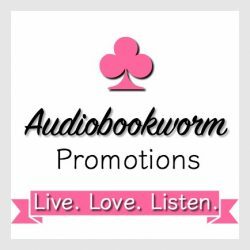 This entry was posted in Audiobook, Audiobook Review, Historical Romance, Medieval Romance and tagged Audiobook Review, Historical Medieval Romance, House of De Nerra, Kathryn Le Veque, Vestiges of Valor. Bookmark the permalink. 2 Responses to Audiobook Review: VESTIGES OF VALOR by Kathryn Le Veque ~ quite the read and listen. Quote: A man will do most anything to protect his name and his family. Thank you so much! I’m so glad you loved both the book AND the audiobook! Brian Gill really is a fantastic narrator!! That being said, the story was marvelous and one I shall long remember.